EISF is proud to announce the launch of its new guide: Managing Sexual Violence against Aid Workers: prevention, preparedness, response and aftercare. 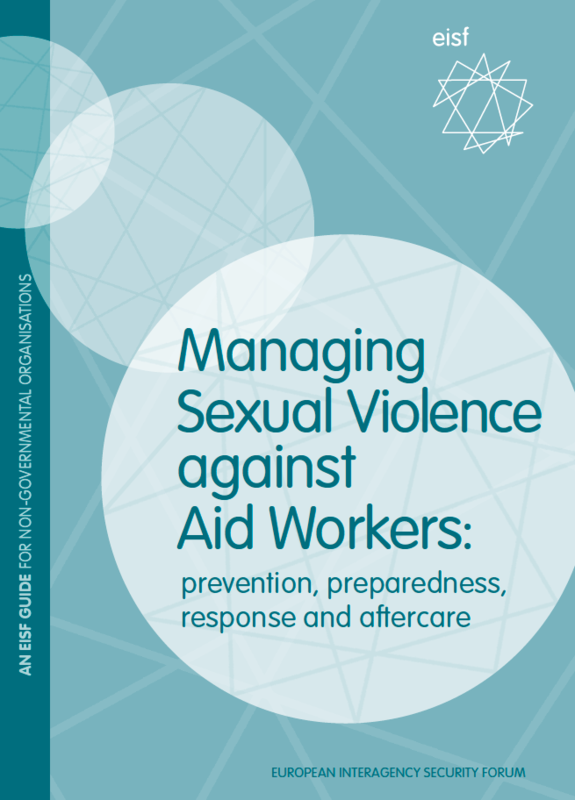 This guide aims to support aid agencies in preventing, being prepared for and responding to incidents of sexual violence against their staff. It is intended as a good practice guide to help strengthen existing processes and support organisations as they set up their own protocols. This guide is the product of a collaboration between EISF and a group of experts with practical knowledge on how to manage sexual violence incidents against aid workers. This EISF guide builds on an internal VSO Responding to Sexual Violence toolkit originally written in 2013. To read the full guide or to access a summary brief and the accompanying editable tools click here.